The future of retail arrived just one month ago. 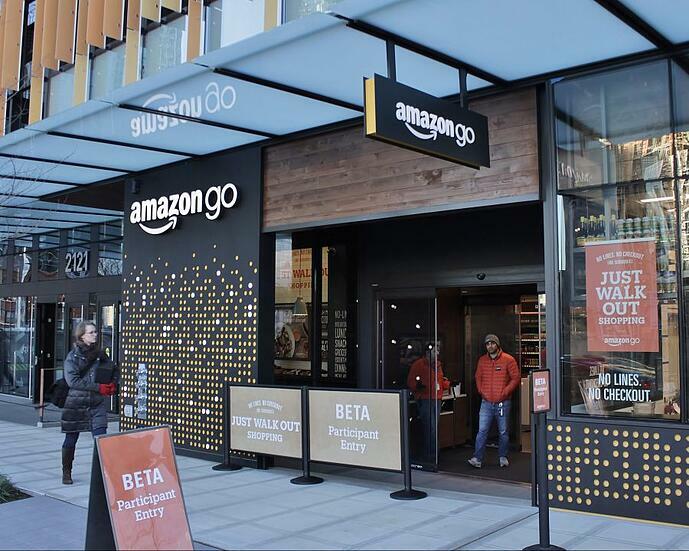 Amazon Go’s “Just Walk Out” Seattle store finally opened its doors to the public on 22 January, following more than a year of trials with Amazon staff. After a frenzy of conversation online, it seems things have settled down to business as usual for Amazon. The first week of opening had a post volume of 5,234 with a reach of just over 18 million; a week later that had dropped, with volume down by 77%. The drop is hardly surprising. On its first day open to the public, Amazon Go was the definite talk of the internet. 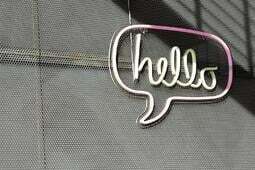 Websites were the main platform of conversation, making up 39% of mentions as news and tech sites reported the opening. With a number of revolutionary features, the arrival of the futuristic store raised a number of talking points. 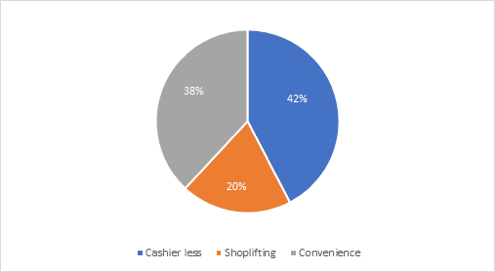 The main topic of conversation was about the cashier free element of the store, closely run by those discussing the convenience level of the operation. A considerable amount of other online conversations were orientated around security and shoplifting. The hashtag #AmazonGo accounted for 11% of conversation in that initial period (22nd -28th Jan). Yahoo’s Facebook page shared the most widely-circulated post via In The Know with a 49-second explainer clip of the futuristic shopping experience. It captured 2m viewers, was liked by 5.3k people and was shared 2.4k times. 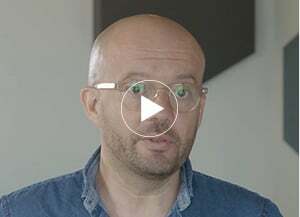 The clip was also shared by influencer @MikeQuindazzi, Managing Director of Strategy at @PWC. His post was retweeted 260 times reaching 11.5K people. In fact, Instagram won the consumer excitement prize; the platform had the highest positive sentiment (69%) of any social channels in those early days. 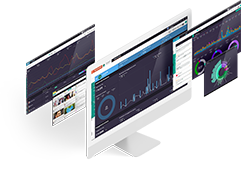 A more consumer-centric platform, it contributed just 3% to overall conversation, but had an overwhelming high positive sentiment at 69%. The conversations here were driven by consumers sharing immediate reactions of Amazon Go. The majority of visitors were impressed with their first in-store experience. Shopper @fmron finished his shop in an amazingly short 1m 33s and shared the digital receipt as proof. User @_freedomwriter_ posted a short clip of his in-store experience which was viewed 338 times. He liked the no-fuss shop and gave Amazon Go a rating of two thumbs up and 5 stars. The excitement wasn’t just for the tech and the experience; some users just wanted to be there. User @angela_beeler was proud to visit the world’s first Amazon Go store, posting: ‘I feel like I was part of history today’. Yet it wasn’t all positive. Some consumers were doubtful about the implications of the AI-operated store. ‘What about (data) privacy?’ asked @mariekekortsmith. Unsure of whether this was progressive or regressive. Given it’s driven by some serious tech, those in the industry were more than curious. They took to online forums in droves to discuss their opinions. Whereas another user, momeNT, liked the fact the cashier-free service doesn’t require social interaction and makes the shopping experience easier. On Mac and Apple news forum Macrumors, under the thread “Amazon Go”, Monster620ie saw the move to use tech to replace cashiers as pointless. Gasu E. replied that the use of helpers over cashiers is more helpful: ‘What I need are people walking around helping me find things. According to what I read, the Amazon Go shop has those kind of people’. Where is the epicentre of Amazon Go conversations? 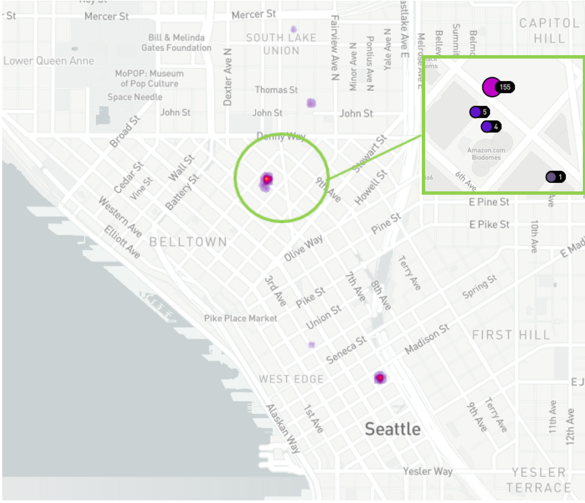 Unsurprisingly, the new geolocation function on Radarly found most consumer-led conversation centred around Seattle. Radarly picked up 219 conversations during the period. Out of this number, 155 took place at the Amazon Go store located 7th Avenue that is between Blanchard St and Lenora St.
Consumers were posting during and after their in-store experience. @soeren.teilzeit shared his new orange Amazon Go bag near the Amazon spheres; his post gained 26 likes. What now for Amazon Go? With conversations dying down now the initial excitement is over, a lot of the internet is now turning to what this all means for retail. On Instagram, Foodbeast promotes a podcast discussing the state of groceries in 2018. 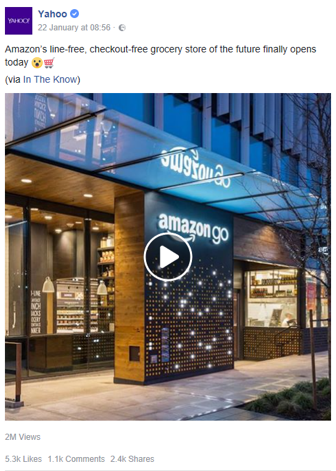 The post says: “With new technology, like Amazon Go, Prime and Fresh, shopping is supposed to be easy. Yet, all these options seem to only complicate the process.” The post was in the top 5 most viral for the week of 14 to 20 February and had a reach of 85.7k. Likewise, Andreas Staub asks if Amazon Go will capture the holy grail of retail. With 6 more stores planned to open this year, the Amazon juggernaut could be rolling into a town near you very soon. So what do you think? Will this be a high-tech flash in the pan, or is this truly the future of retail? Let us know by contributing to the online conversation, and tag @LinkfluenceUK. 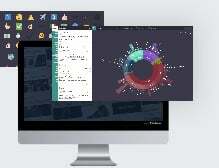 To find out how you can use Radarly for similar analysis, get in touch with Linkfluence’s specialist research team.